Why not to use the open protocols and API of messengers to control robots, whether this be a drone or a wheeled platform, via mobile phones? We witness a messengers’ boom today. It’s absolutely understandable and logical. People prefer to be available and ready for communication any time of a day and be able to communicate the longer the better, and with minimal costs, using a simple and user-friendly communication tool. A rapid growth of mobile devices and free WiFi points, and a steady mobile Internet price decline stimulate creation of new communication tools. No wonder, that messengers, if continue to evolve and grow complex, will become useful not just for sending texts, images, GPS coordinates but also for money transaction, ticket/taxi/hotel booking, and as information services. Messengers can be more than that. Today, almost any application tends to create an online way of interaction. Instagram, for example, has its own messenger for communication inside the net. Facebook has three messengers and will add some new, for sure. Access to live traffic creates an enormous potential for advertising. In the networks it can be seen what persons are looking for in the search engines, and what topics they discuss. For example, if we talk about trips, the service can offer us a flight to a particular place or a hotel. This kind of intellectual correspondence scanning has a substantial advertising potential. But in this article we want to highlight something different. Along with social nets, there’s one more sector that promises to be one of the most dynamic in the next 5 years. This is a robots market. Consumer robotics and IoT gadgets. It is a new big trend. 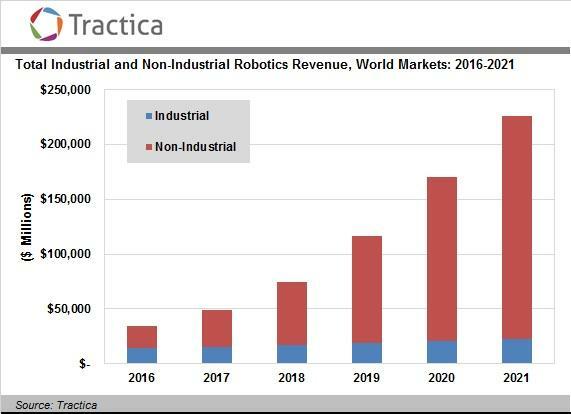 According to TechTank1, a market of non-industrial robots will exceed two hundred billion dollars by 2020. And here a logical and serious question arises, how these robots can and should be managed. Is there something already existing on the market to help the process of management and controlling? Actually, each company creates its own application to control its robots or platforms. But we thought, why not to use the open protocols and API of messengers to control robots, whether this be a drone or a wheeled platform, via mobile phones? For many users and potential users it would be a nice option to have. Let’s do a short overview of existing technologies. Jabber as a Control Application for robotics and IoT gadgets. An open-source and most famous project for messages and phone calls exchange, where you can install your own chat and a SIP server, is Jabber. There is a good choice of free public servers requiring registration. You can install one of them or your own server. So, a robot creator, who is not ready to write his own application, can use a ready-made service. The SIP server provides voice calls between the subscribers and allows transmitting DTMF tones along with the voice. These signals can be recognized by the recipient \(the robotic platform) and be used to control the robot. The solution limitation lies in the fact that there are only 10 audio tones. The chat application lifts these SIP restrictions because it makes possible to use the text format for control in a very wide way. In this case it’s enough to write a text in one application and send it to the robotic platform, connected directly to the robot control, where the received command will be processed and executed by the robot (the robot will perform the requested action). For one who would like to get more understanding here is a short description how does it work. A cell phone with a messenger is connected to the robot or IoT device via WiFi, Bluetooth or micro USB. Setup to send data to a microcontroller. This data is to be interpreted by a microcontroller. The user sends commands to control the robot or an IoT gadget in the same way he uses the messenger. In the end, the task is to get data from the messenger and correctly process them. In this case usage of the mobile phone/tablet as a computing center for the robot is justified, as a received command can be sent from a phone/tablet to the control unit of the robot mictrocontroller via WiFi, Bluetooth or micro USB, in the respond to which the robot will perform the requested action. The Telegram App is an alternative solution to the Open-Source Jabber. It is good because its API is well-described and the server functions perfectly. 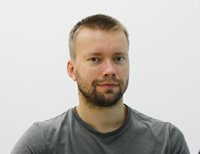 The only limitation is a high possibility that the server may stop being free in the future, as the only one central, especially for the use of the server API. So far, however, no announcements to this effect have been made. A similar strategy Google uses, handing out free API to many of its solutions to limit their free use or to introduce a paid subscription later on. There are other alternatives; LinPhone, for instance, is an open-source solution. It is used in the Endurance telepresence robot. Its work is based on the same principle as the work of the SIP. An operator calls to the LinPhone app, installed on another tablet connected to the electronics block via a micro USB to the telepresence robot, and then controls the robot movements with the help of DTMF tone signals. And at the same time it is getting audio and video signals from the robot’s tablet. However, the server is not very much stable while video and audio streaming. The quality often suffers too. As for the management, it is good enough if there are no delays in the net. The bad thing of using this technology is that you still hear DTMF tones while controlling and it is not very convenient. Now it is possible to state that there are only few messengers with an open and simple API in the market. It’s the matter of security and reliability, we believe. For example, widely used Skype from Microsoft is a fully closed application and does not support foreign API for information transfer. It seems, this policy is necessary to prevent creation of the message aggregators or clients’ programs made by a third party because Skype is called to be an advertising agent for banners, and perhaps for distributed execution of other tasks. Today not a single developer of messengers considers application of messengers to control robots or maybe did not announce it. Perhaps, to control not only robots but also other gadgets of the “Internet of Things,” up to the smart home, that is, when with the help of a message you can turn on or off the light in your home. For example this standard common protocol can be used with many hardware boards, such as: Intel Genuino, Intel Edison and others. What is meant here is development of a certain standard, which could be widely spread among customers in the future. We encourage messenger developers not to forget about growing robotics market and maybe some other cool synergy can pop into their minds. Under the standard is meant a protocol, which could become universal so that to make it possible to control a robot/gadget from any application. As for example, photo posting is possible now practically from any messenger. It is important to observe every basic principle, such as: command scalability, adaptability and, most important, the way of receiving commands from the messenger. Thus, we believe that integration of messengers with robotics and their adaptability for gadgets of the "Internet of Things" has a great potential for messengers. Perhaps, skeptics will consider this trend unpromising, but we are confident that the described scenario looks more probable today rather than it was 10 years ago.